This is the picture my husband sent to my phone today. 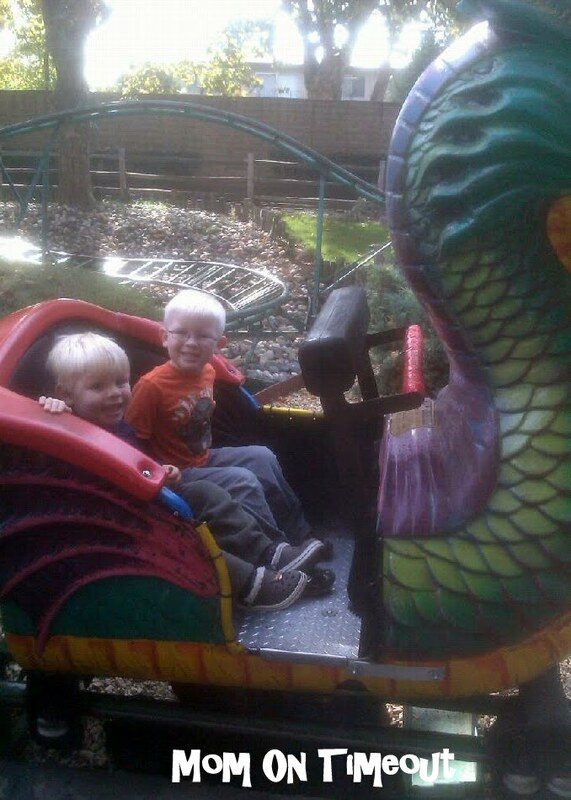 He took the boys to Fairytale Town and Funderland (a small amusement park) while I stayed home and worked on the transition pieces for the floor. I know! I know! It’s been a month since I put the floor down but I seriously needed a break from it. I got all the cuts made today and will finish it up tomorrow and then it will be completely finished – FINALLY! I still love how they look and every time I get to just wipe up a mess instead of hauling out the steam cleaner – I smile. Reece got his glasses a couple of weeks ago and seems to be adjusting to them finally. He still tells me that he doesn’t need glasses and that he just can’t see far away 😉 He’s been getting lots of smiles from strangers because he looks so cute in the glasses. My aunt told me he looks like a young genius. I can’t believe we are in the middle of November! I started working on some Christmas craft projects this past week and although I feel a little guilty since it’s not even Thanksgiving, it does make me happy to see shiny, sparkly Christmas decor out and about. I hope your weekend was relaxing because I know things are about to get really busy with the holidays approaching. Have a great week! « Pilgrim Turkeys…A Handprint Thanksgiving Craft! 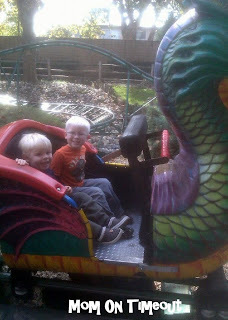 The Dragon Roller Coaster looks like so much fun.